Travelling to off-the-grid getaways may not be something that you have ever given much thought to, but now’s the time to start. Remote = romantic in our eyes and after scouring the globe for the best unbelievable off-the-grid getaways, we dare you to give them go. Everyone is a fan of the movie but why not experience the real thing? Separated from mainland Africa over 88 million years ago, Madagascar is truly a world of its own. 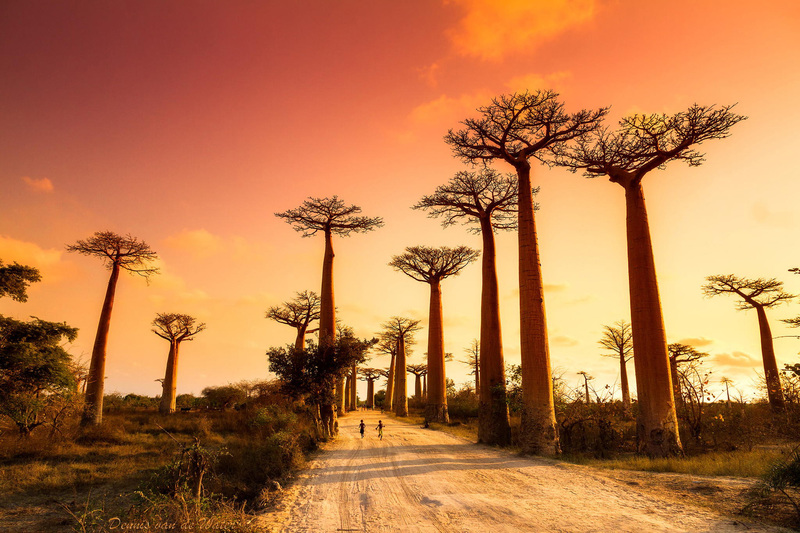 Tackle dirt roads, hike through the prairies and hills of Madagascar’s massifs and mingle with locals while witnessing fascinating endemic flora and fauna. It is one of the very few places on our planet where both nature and animals are allowed to evolve in isolation. Spot unique plants and animals whilst exploring stunning landscapes with sharp cliffs and bizarre rock formations, resulting from volcanic activity and wind. This journey is a multi-activity tour consisting of riding 519km and 50km of hiking. This trip is recommended for confident and physically fit couples looking for a challenging experience with a variety of off road activities. 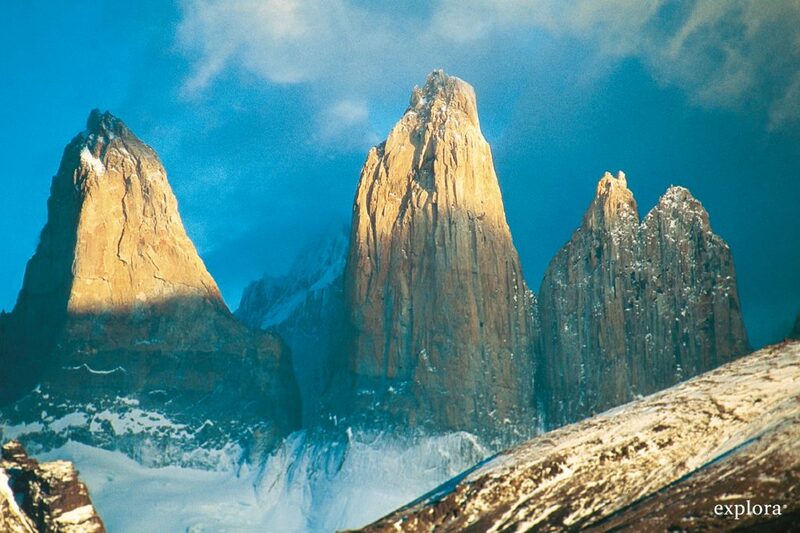 Estancia El Condor is in one of the most spellbinding locations in South America. The five-hour journey from El Calafate to Lago San Martín in Argentina’s Patagonia region where it is situated is an experience in itself as visitors take in increasingly remote estancias, guanacos and jade coloured lakes deep in the southern Andes. El Condor has access to condor nesting sites and is surrounded by some of the most hauntingly beautiful scenery in the Andes. Sleeping 14, visitors are treated like one of the family with meals served by the open fire in the dining room. 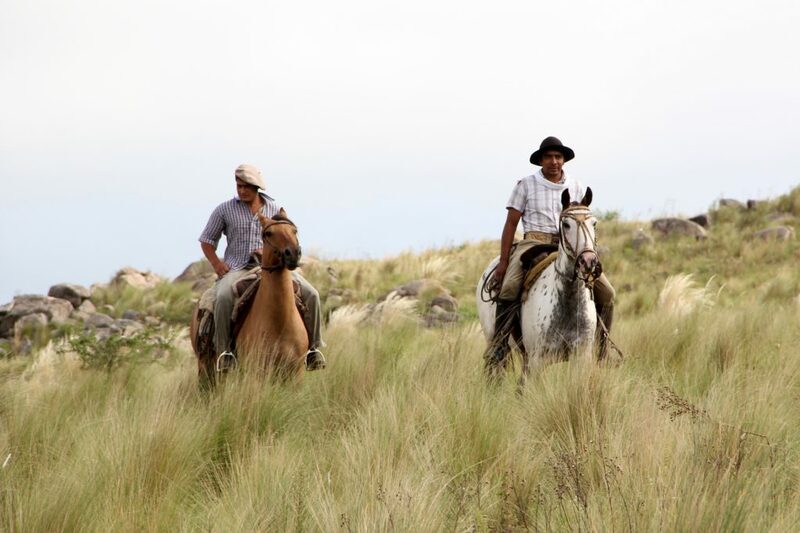 A paradise for keen photographers and walkers, there is excellent horse riding and trekking from Estancia El Condor, taking guests through the breathtaking scenery. Guests can also enjoy excellent trout and salmon fishing in the river. Stay in a classic trendy Airstream Camper Van away from the crowds, accompanied by unbelievable sunsets and night-sky above Bolivia’s famous salt flats – and the occasional flamingo! This 3-day getaway is no ordinary camping trip – the sleek Deluxe Airstream Camper Van is equipped with its own mini bar, private bathroom with hot shower and double bed. 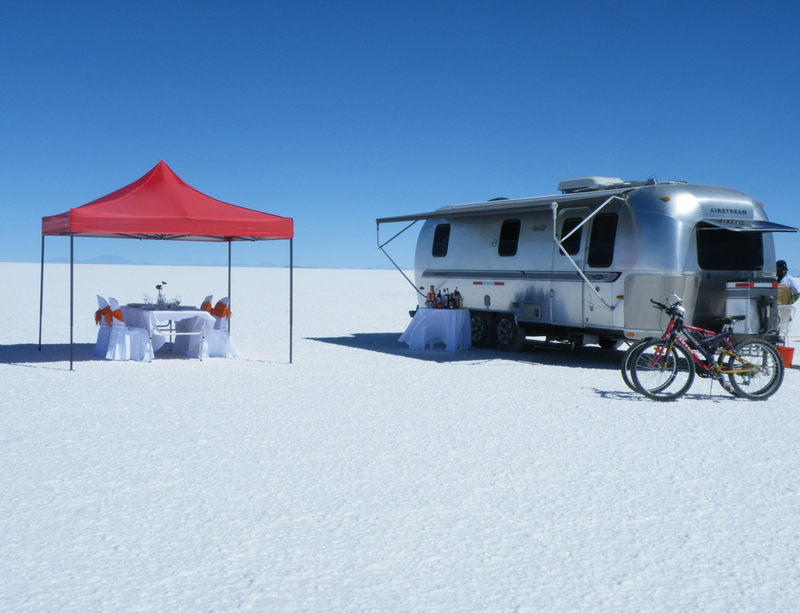 Stay apart from the hordes of tourists that visit this salt flat every year and enjoy the remoteness that these Airstream Camper Vans provide. And then there’s the view. The bareness of Salar de Uyuni allows for uninterrupted panoramas across the vast expanses of the world’s largest salt flat – an expanse that doubles where the water gathers and becomes an all-encompassing reflection that is breath-taking in its magnificence. Coloured lakes, geysers and lagoons full with flamingos embellish the landscape as you explore. Day trips are led by a private guide and excursions to the Isla Pescado and the Jirira Village, with its backdrop of the dormant Tunupa volcano, make for memorable days. As your own chef prepares dinner, enjoy the tranquillity of this oasis perfected by the dazzling sunsets. Estancia Los Potreros – Situated in the foothills of the Sierra Chicas Mountains, 45 minutes’ drive from Cordoba in Argentina, in an oasis of green nestled in the valley. There is scant mobile reception and wifi is only available at the main house, so it’s a proper escape. To get to this Argentinian farming ranch, guests journey down a long and rather bumpy dirt track, through swathes of swaying pampas grass. After a day in the saddle, the roll-top baths are bliss for aching limbs, whilst the crisp white bed linen eases you into a restful night’s sleep. Morning starts are marked by the sound of parakeets in the trees and the ponies being herded in from the hills by the gauchos. The ‘honeymoon’ suite is a little house on its own, overlooking the valley with the ponies grazing happily outside your door. Days are spent on horseback with views across the plains of Cordoba, or later, cooling off in the waterfalls or rock pools. Condors fly overhead, whilst the ponies kick up the fresh herbs from the ground, filling the air with scents of mint and sage. Sunset sees an evening ride to bring in the mares and foals to the homestead, to protect them from predatory pumas with a healthy appetite. Dinners are a relaxed en-famille affair, with home-grown and organic produce washed down with the Estancia’s own wine. Hosted by either Kevin or Louisa Begg (the owners), or some of their exuberant English guides, the ranch has a personal feel that’s steeped in its surrounding history. 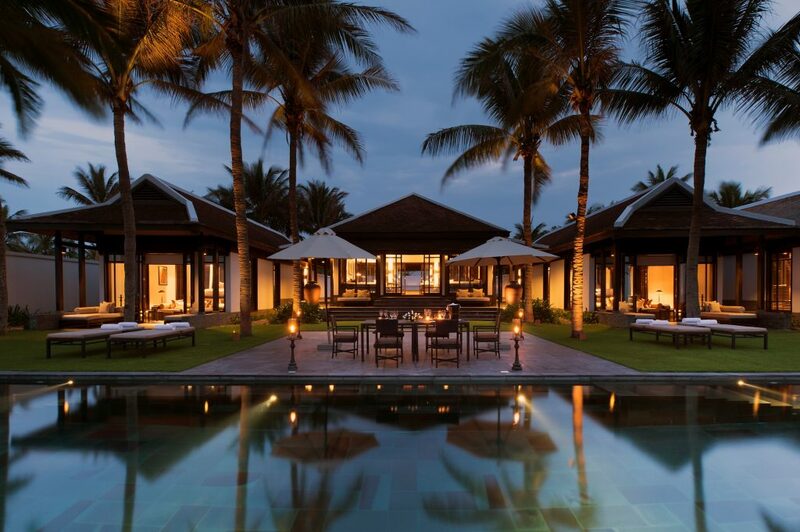 As travellers yearn for experiences that resonate on a deeper emotional level and are more attuned to local cultures, The Nam Hai is leading the way by offering couples once-in-a-lifetime moments through unforgettable authentic experiences. Venture out to Vietnam’s UNESCO heritage sites for a day filled with bucket-list worthy activities such as biking to secluded villages or learning the art of fishing by true Vietnamese fishermen and exploring the lives of local farmers. Following the recent relaxation of visa regulations for Britons travelling to Vietnam, there has never been a better time to plan a trip to this enchanting corner of south east Asia with its mesmerising scenery, rich history and culture, tantalising food, and pristine beaches. Off-the-grid experiences can be hard to come by in the UK but this fairy-tale offering provides couples with a magical romantic retreat. Acres upon acres of bluebell-swathed woodland provides the heart-stirring backdrop for this secret hideaway in the heart of the Weald Downlands in West Sussex. 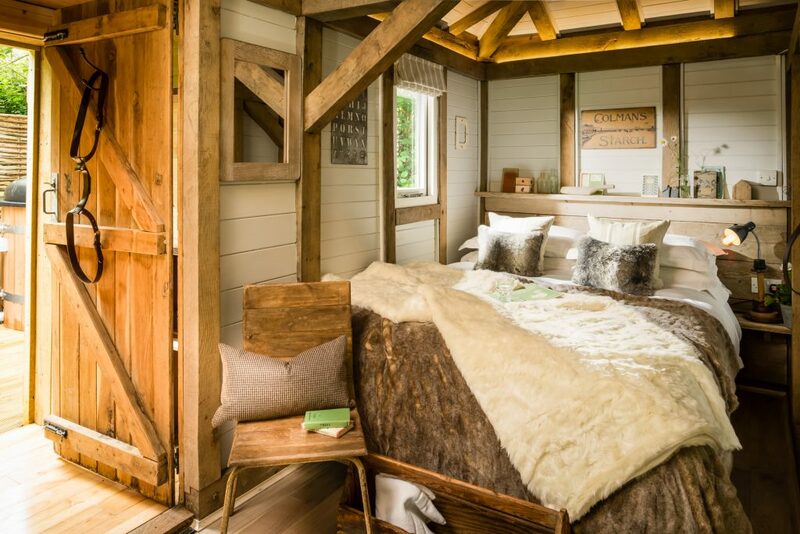 Forget Goldilocks and her three Ursidae visitors; this dreamy cabin in the woods complete with eco hot tub is a private grown-up celebration of stylish interiors and epicurean delights which have been thoughtfully-crafted with discerning pleasure seekers in mind. The cabin is shrouded from the outside world by the kaleidoscope of wildflowers which fill the rainbow-hued meadow outside so guests won’t hear a peep from anyone other than the timid woodland animals who call this idyllic setting their home. You won’t find distractions like television or Wi-Fi at Little Bear, allowing those in pursuit of a digital detox a deliciously luxurious haven in which to re-awaken their connection to nature and re-spark the simple passion which first ignited their romance. Located in one of the world’s most precious parks sits a whimsical Eco Lodge acting as a beacon, drawing in couples seeking a secluded hideaway. Peppers Cradle Mountain Lodge is right on the edge of World Heritage listed Cradle Mountain-Lake St Clair National Park, approximately a two hour scenic drive from Launceston Airport (Tasmania). The unique layout of the Lodge’s cabins and suites places guests right amongst the alpine wilderness. 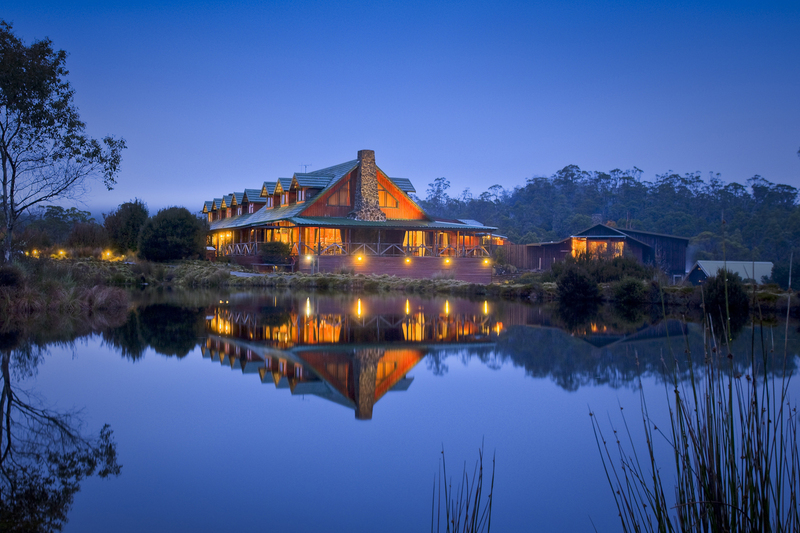 After a day exploring hiking trails or paddling through the stillness of Dove Lake, guests can retreat to the onsite Waldheim Alpine Spa, sit by the log fire in the Weindorfer Lounge, dine at Highland Restaurant, enjoy a nightcap at Tavern Bar & Bistro, or do some wildlife spotting and stargazing on the boardwalk back to their cosy guest room. 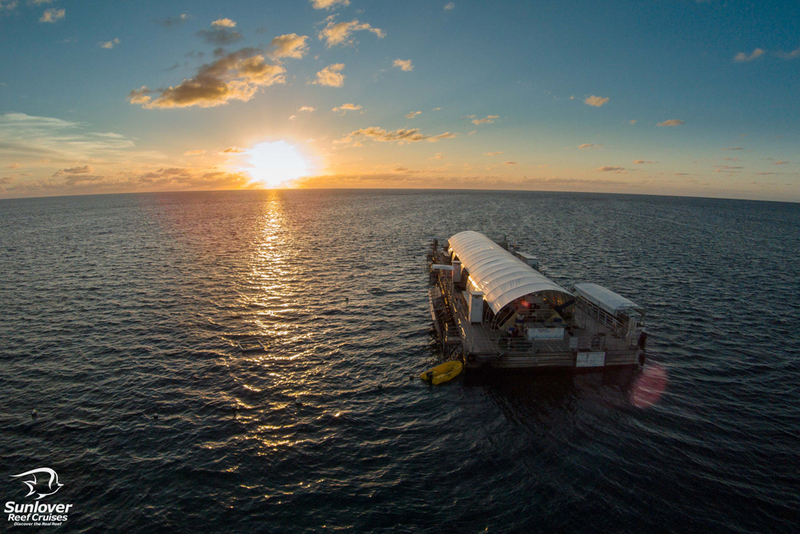 Sunlover by Starlight is a once in a lifetime overnight reef stay, now available at Moore Reef Pontoon located on the Great Barrier Reef, just 26 nautical miles off the coast of Cairns. If you have ever dreamt about sleeping waterborne amongst one of the world’s most impressive natural wonders (or if it is just dawning on you that you would like to) then Sunlover by Starlight can offer you an experience that few others will have tried. Moore Reef is an awe-inspiring underwater spectacle, teaming with brilliantly coloured corals and more than 10,000 fish and marine species. Look out in awe at the wonders of the night sky, as you feel at home in the heart of the ocean, hearing the sounds of temperate waters lapping, sea birds and nocturnal creatures coming to life, all the while basking in the sea air and warmth of Tropical North Queensland. The reef, the uninterrupted night sky and deluxe swags will give overnight guests the ultimate Australian experience. One of the world’s best off the beaten track mountain retreats, 360 Leti is located 5 hours’ drive north of Uttaranchal after taking an overnight train from Delhi. 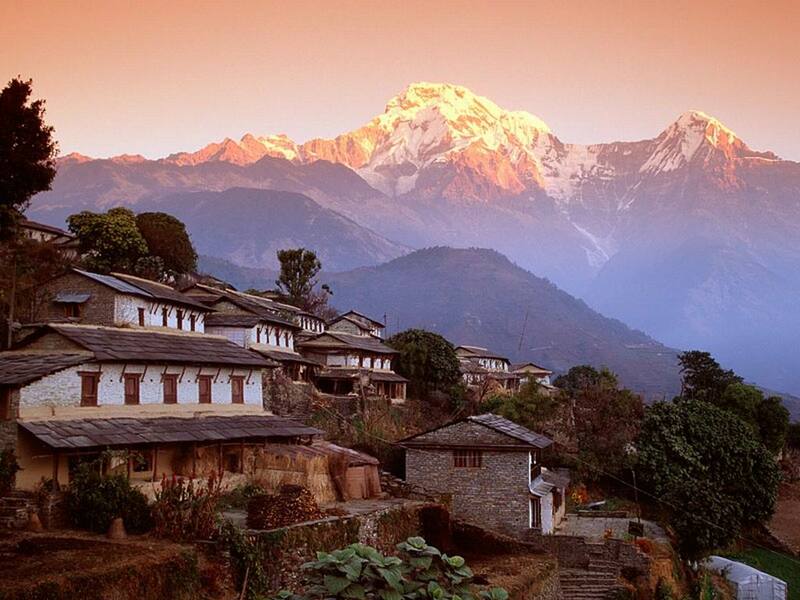 Stay in one of four remote cottages high in The Himalayas surrounded on all sides by stunning scenery. The cottages are an hour’s walk from the nearest road and Sherpas will run ahead with guest’s baggage as they enjoy the walk to the camp. The cottages are fronted on two sides by floor length glass ensuring jaw-dropping views of the mountain backdrop from the comfortable four-poster beds. A range of activities are on offer around Leti from day walks to local villages, mountain trekking, yoga or simply relaxing in front of the view. With only four cottages, Leti 360 has a resident chef and can be taken exclusively- and if you had the choice (and money) who wouldn’t want that. Situated in north-western Greece, Aristi Mountain Resort & Villas is not only home to luxurious accommodation, but a wild and rugged landscape – a perfect playground for adventurous couples! Thrill seekers will be captivating by the plunging Gorge of Vikos and enchanting Towers of Astraka which are punctuated by the crystal clear Voidomatis River, an ideal backdrop for a host of outdoor pursuits including rafting, cannoning, horse-riding and mountain biking. This hidden gem is nestled in a world-class national park teeming with wildlife and cosy enclaves. The resort is a boutique offering with a total of just 24 rooms- not removing you totally from the rest of humanity but enough to offer romantic remoteness. Food is of course a major part of any getaway and although you are staying in a secluded location it doesn’t mean that you can’t enjoy delicious food right? Aristi Mountain Resort & Villas have appointed Yiannis Kioroglou as the lodges new Executive Chef. Working his magic, Yiannis strives to elevate local ingredients to a new level with ‘Nature’s Cuisine’, firmly placing Aristi Mountain Resorts & Villas as one of the top places on the gastronomic scene. Yiannis has taken inspiration from the natural surroundings of this secluded hidden gem and curated a menu enthused with local delicacies from the Zagori region.